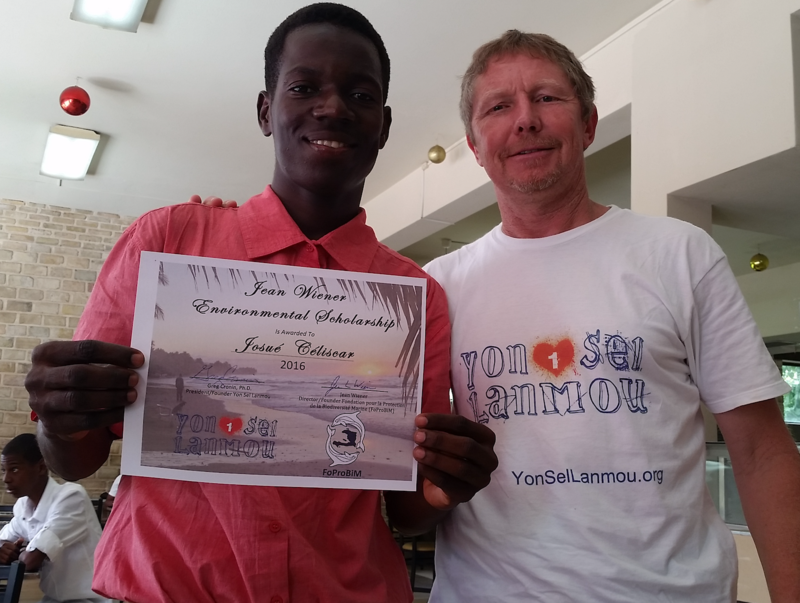 Mr. Josué Céliscar won the second Jean Wiener Environmental Scholarship in July 2016. Mr. Céliscar is majoring in Resource Management, and wants to study how tropical dry forests can be sustainably managed in ways that provides income while improving the condition of the forest. We believe that natural resources should must benefit people today and far into the future. Congratulations to Josué and best wishes for a prosperous career as a resource manager.